The casino company’s co-founder wants to replace a director, but not with herself or an associate. The soft approach was rebuffed by the company, which claims it’s changed since her ex-husband quit. Elaine needs a sharper approach – or activist help – if she wants to be heard. 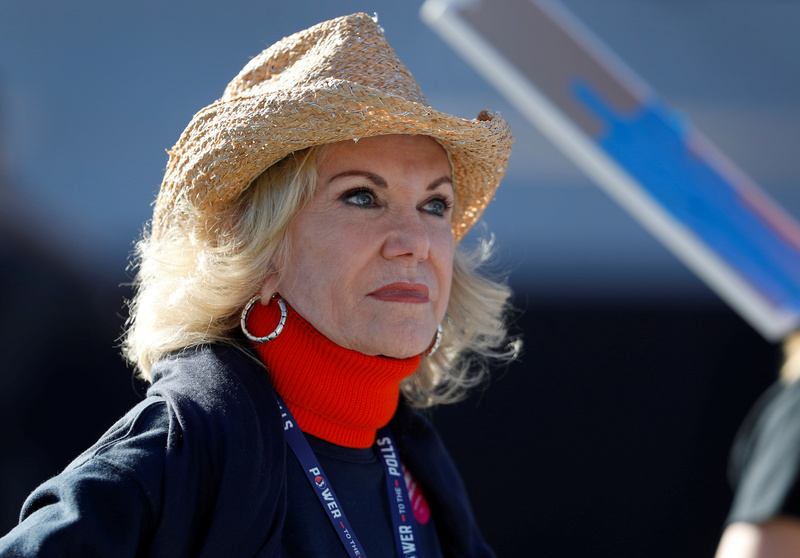 Elaine Wynn, ex-wife of casino owner Steve Wynn, is shown during a Women's March rally in Las Vegas, Nevada, U.S. on January 21, 2018. Wynn Resorts co-founder and largest shareholder Elaine Wynn filed a complaint against the company asking for shareholder list materials that she is entitled to under Nevada law, she said in a filing with the Securities and Exchange Commission on May 2. The complaint by Wynn, whose former husband Steve resigned in February over allegations of sexual misconduct, also seeks to temporarily stay the company’s annual meeting, currently scheduled for May 16. In a separate presentation, Elaine urged shareholders to withhold their support for John Hagenbuch, who chairs the company’s audit committee, saying that it serves as a “referendum on longstanding legacy directors.” Elaine is not seeking to nominate herself or any close associates for the seat. On the same day, Wynn Resorts sent a letter to shareholders urging them to vote for Hagenbuch, who has been on the board since 2012. “Today, we are a very different company than we were three months ago, and we have a refreshed, diverse Board in place that is committed to active oversight in leading the Company forward,” it said in the filing.